It took months of tweaking before I found the perfect brush roll design. I made changes to every tiny detail until I was 100% happy with every single stitch. I'd say (aside from my son, Grayson) this humble little brush roll is my proudest achievement to date. By staying true to my core values and not compromising on quality, I made something tangible I can be truly proud of. The brush roll feels like a part of me, in a way, and I suppose that's because I put so much of myself into it. It was a truly terrifying moment when my husband and I both agreed to gamble everything we have as a family on creating this new brush roll for Maggs London, so it only felt right that the theme of this bag be about taking risks. Taking risks, seeking new adventures or trying something new can often feel rather reckless and intimidating. I have only recently discovered that each of these things actually take a tremendous amount of courage. Trusting your own instincts and judgments, abandoning the comfort of the known to venture into the unknown, can be absolutely terrifying. It's something that is certainly far easier said than done! That being said, ask yourself this: wouldn't you rather look back and think, "I'm so glad I did that," rather than "I wish I had done that'? 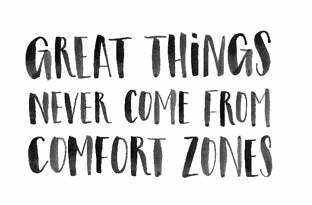 You could say you have to want something more than you're afraid or intimidated of it; after all, adventures and new paths are always worthwhile, but great things never come from comfort zones. *Please note, the brush roll does not include any brushes. The quilted Liberty print brush roll can hold up to 14 make-up brushes of various styles. Lies flat for easy, convenient identification. Rolls up into a pouch for portability.